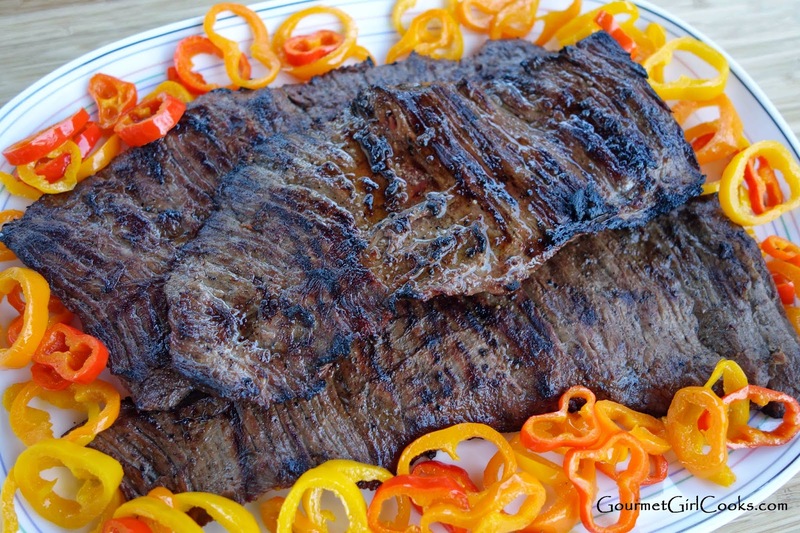 This evening I made delicious Grilled Beef Fajitas w/ Chipotle Lime Marinade for dinner. 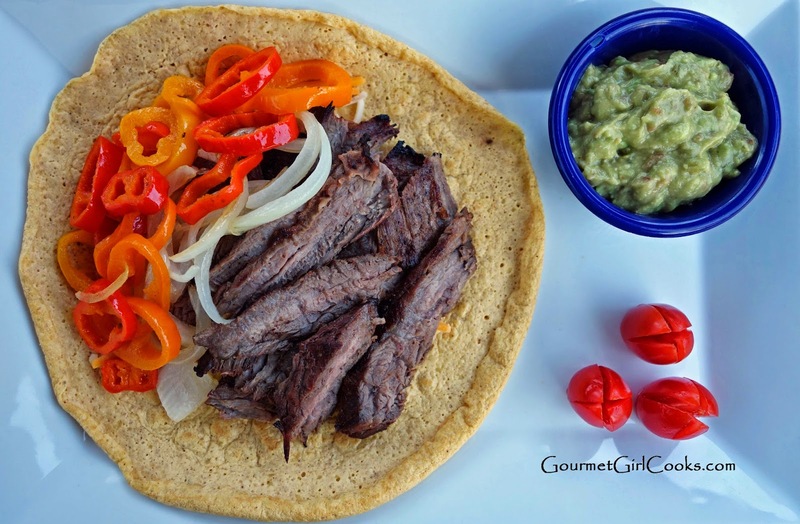 I served them in my super easy Grain-free Tortillas. This is the sturdier version of my tortillas which essentially means I don't thin the batter down with water like I do when I make my thinner sandwich wrap version or the version I use as a lasagna noodle substitute. You can add whatever seasoning you like to them to complement what you are using them for. In tonight's version of tortilla, I used a couple dashes of garlic powder, some ground ancho chile pepper and a little smoked paprika. Besides adding flavor to them, it adds nice color as well. 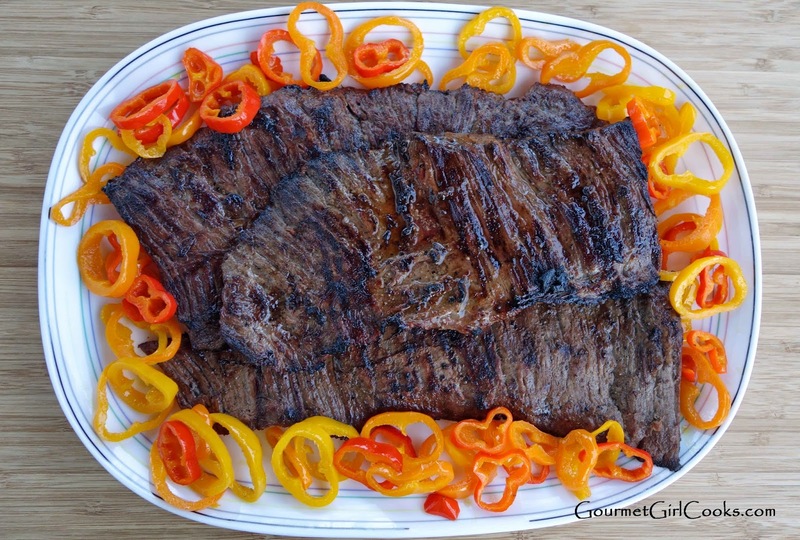 I forgot to marinate my skirt steak overnight last night so when I came home at lunch time today, I put the marinade together quickly and let them marinate for about 7 hours until dinner time. The steak takes about 10 minutes to cook since it's so thin. I also made fresh homemade guacamole to go with our fajitas. I'll post that recipe tomorrow...it's so simple it might make you shed a few tears (of joy)! 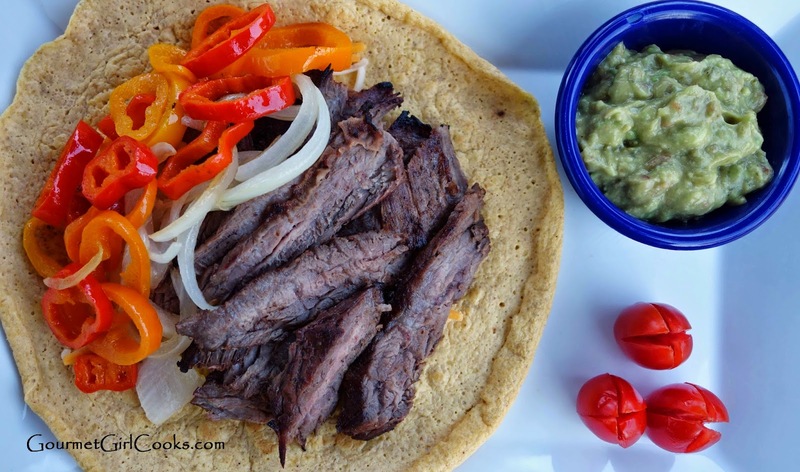 LOL I snapped a few photos of tonight's meal below as well as the recipe for the beef fajitas and the tortillas (the recipe to make 1 tortilla at a time or 4 is included -- I actually got 5 tortillas from my "4-tortilla recipe" this evening). I'll post the guacamole recipe tomorrow. Enjoy! 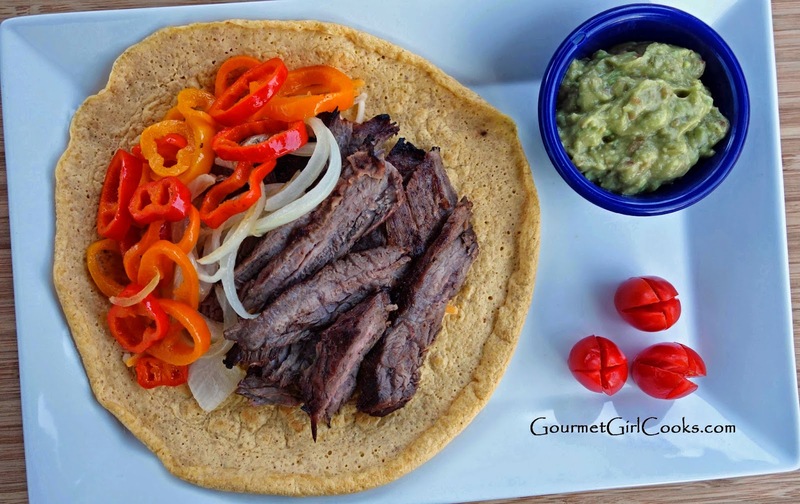 This is why I make sturdy tortillas -- I always over-stuff them! 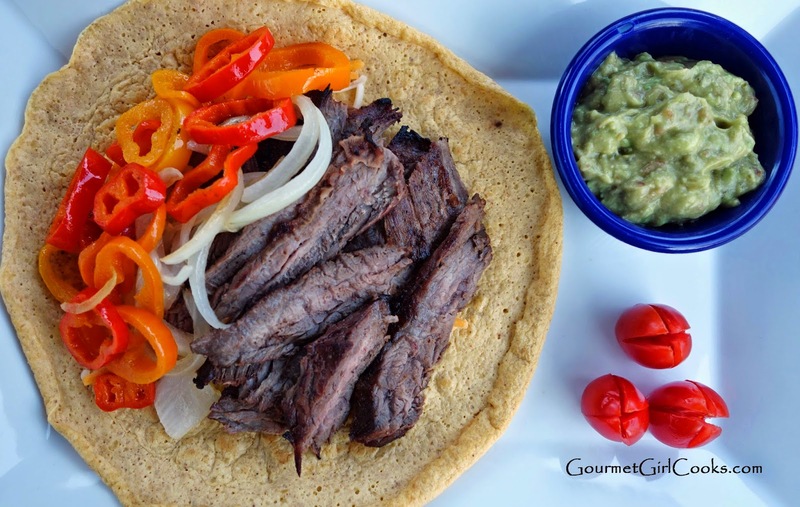 Toppings of choice: grilled or sauteed bell peppers or onions, salsa, avocado, sour cream, etc. Place steak and garlic in a large (gallon size) Ziploc type bag. In a small bowl, whisk remaining ingredients together (cumin, chipotle, salt, pepper, lime juice, zest and olive oil) and pour into bag with steak. Seal the bag, removing as much air as possible; massage the bag to distribute all the marinade throughout the meat. Refrigerate at least one hour or up to overnight. Grill on a medium-hot grill for approximately 4 minutes on each side; remove and let rest for about 5 to 10 minutes. Slice the beef thinly against the grain. 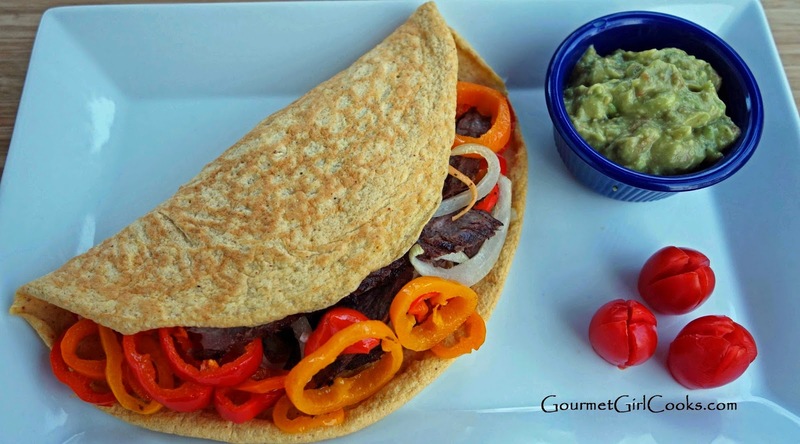 If desired, serve on a grain free tortilla. Top with your favorite grilled or cooked veggies and other toppings of choice.